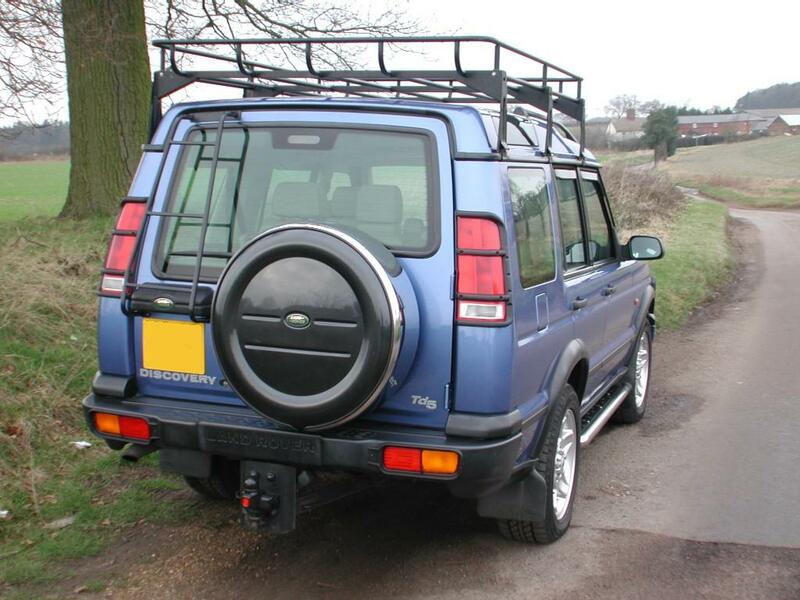 After talking my Disco off road, I found all the talk about your tow bar acting as a plough to be true, how ever it never really posed a problem, and if anything it definitely stops you clouting the fuel tank. My car was fitted with a factory multi-height tow bar that proved to be useful when I collected the D1 off road toy as I need to adjust it to keep the car trailer level. I don't go off road often, neither do I tow very much, so I looked into some other options. As usual the U.S seems to have it right by using a 2" square receiver type bar that gives the owner endless options as to what you can fit in there to use. 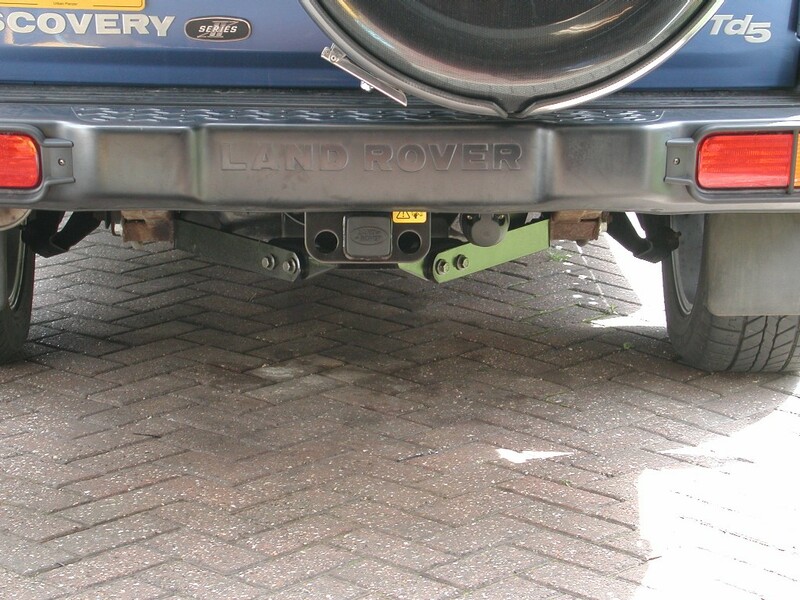 Here you can see the tow bar I did have, its adjustable buy unbolting the tow ball and moving it up or down. I have the Dixon Bate type ball and Pin tow ball that proved useful off road using the pin section as a recovery point. As I stated earlier the bar did "plough" a little and collected rather large amounts of mud behind it, how ever for mild off road use I feel it never really causes an issue. It does however reduce the departure angle a little. If the vehicle is like mine and is fitted with SLS you can raise the rear by 2" to help recover the angles when off road. I try as much as possible to use factory stuff as you know it will work and fit well, so I looked at the Genuine Disco 2 tow hitch that was available for the U.S vehicles and maybe other countries to, it seems to be that the UK is one of the only countries that has "3 tons of iron" hanging for the rear of the vehicle. As to what the laws etc are regarding type of use to which country is something you will have to look into your self, it appears that these type of hitches should only be used on "imported" vehicles that don't require European type approval. Well if its good enough for the Americans, its good enough for me! After some searching the US Ebay site and contemplating importing a tow bar from there which would have cost quite a lot due to it's weight I sort of gave up on the idea, however not long after 1 appeared on the UK Ebay site which I promptly snapped up !! You get the main "body", 2 bars that fit to the same place on the chassis rails as the UK bars, a bag of bolts and instructions. 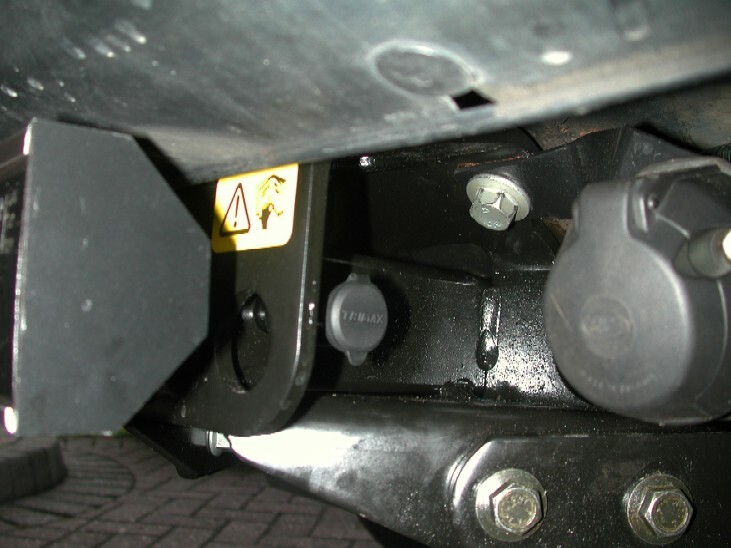 The top mounting bolts of the body fit to the same locations in the rear cross member. It took me over 2 hours to "free" off one of the main bolts when removing my UK bar as it had been there a long time!!!. 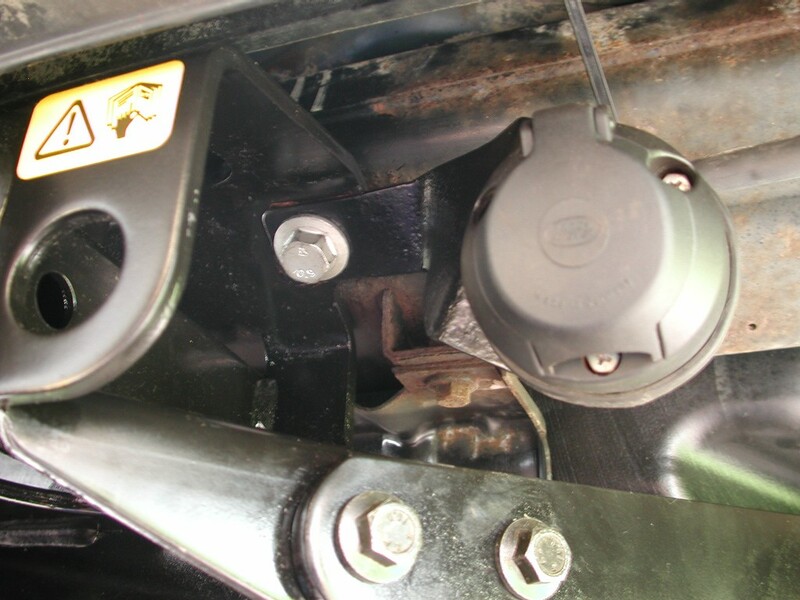 Fitting of the US style hitch literally takes 15-20 mins, you slave it all in position and then torque all the bolts up following the correct sequences and torque figures given in the instructions provided. Here is what it looks like all bolted up. As you can see, there is a lot less "iron" hanging from the back, the departure angle for off road use is vastly improved, and the whole thing looks just a lot neater !! I'm not able to tell you what type of electrics the US use, I would suggest there is some difference to UK style plugs and sockets. As I already had a bar fitted and my electrics were already connected up it was just a case of fitting them somewhere near the new tow hitch. My existing electrics were mounted to a bracket that was bolted to one of the drop plate bolts, obviously not having that fitted and the fact that a new tow ball / drop plate would be removable means that it had to be re-located elsewhere. 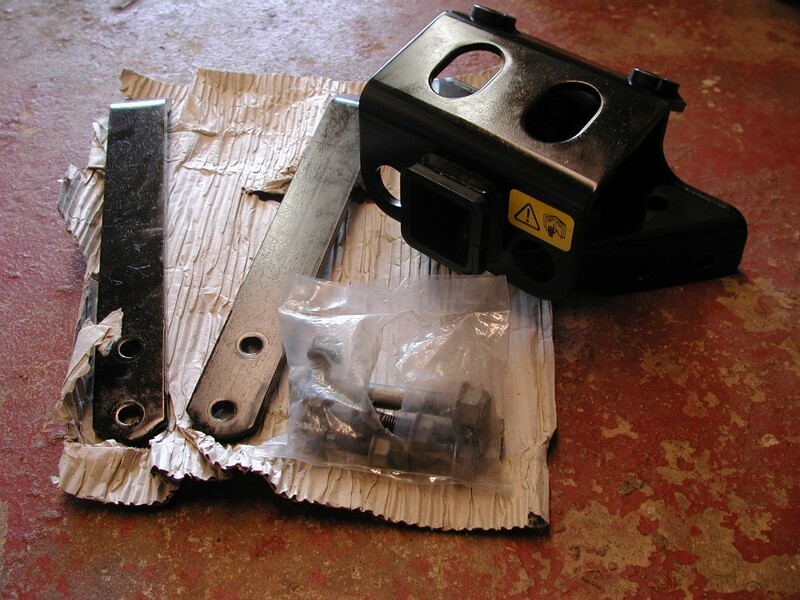 There is a bracket available in the parts catalogue for the US tow hitch, but I was sure I could get mine to fit. After some trial fitments, a large vice and hammer, I was able to re-shape my bracket and mount it to one of the tow hitch top bolts. This keeps it almost exactly in the same place as it was on the UK bar, and its nice and high up out the way of damage. The mounting bracket had seen better days, but after cutting the bolts out that hold the socket to the plate as they were so badly corroded and once I was happy with it's "new" shape I took it to my place of work. There I shot blasted it to remove the corrosion and re painted it black. Fitted some new bolts and nuts, Job done!!! As with anything removable on your car, you have to either screw it down, or fit some kind of lock to prevent anyone with "light" fingers taking a fancy to your stuff !!. 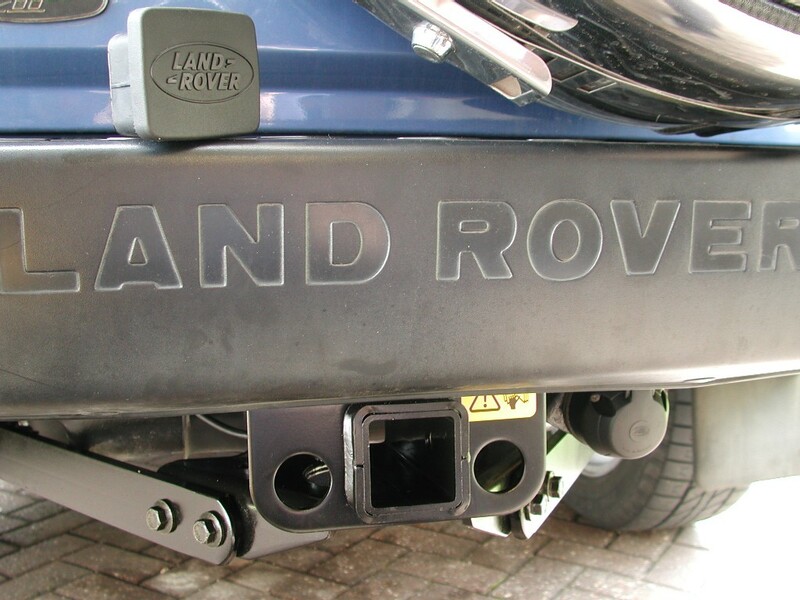 The Tow hitch is pre-drilled with a standard Class 3 hole which is 5/8 in diameter. In this country it seems that you can either buy just standard steel 5/8 pins and clips to hold in your towing attachment, or you can get a locking type, but as usual its expensive over here. 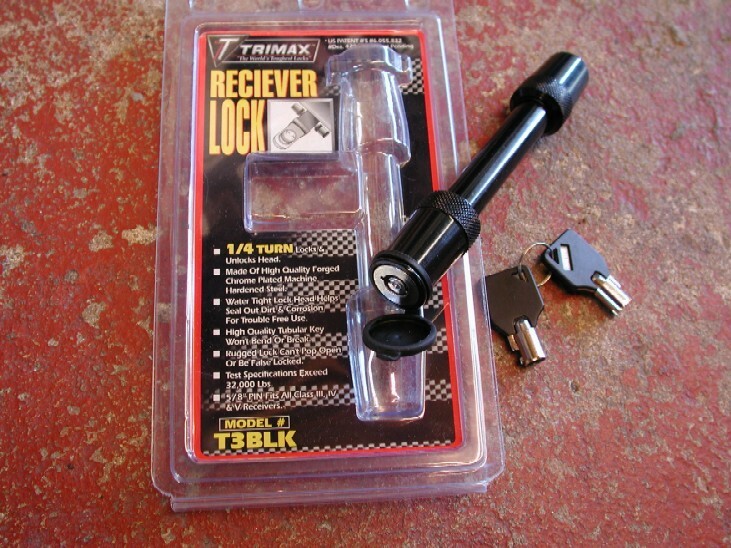 Its made form quality forged steel, has a waterproof cover over the locking end, is finished in a tough power coating, simple to lock and unlock by just a 1/4 of a turn, and has barrel type keys so there is no worries about bending them during use. Overall a Fantastic product !!! Here it is installed, and this will stop anyone taking a fancy to your towing attachment. the lock is tested and exceeds 32,000 LBS, so I think its strong enough !!! !